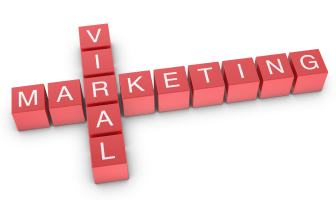 These days, every marketer's goal is to have their campaign "go viral". The concept of viral marketing essentially refers to word-of-mouth buzz that reaches a tipping point, creating a wave of attention for a company. Word-of-mouth marketing is not new, but it has become much more measurable in the days of social media and thus a more attainable goal. Although this mass exposure may be the big break many businesses need, before you jump on the viral bandwagon you have to realize that this type of campaign is definitely not for everyone. One drawback of viral campaigns is that you lose control. For many companies this is difficult, or even a deal-breaker, because they are used to controlling their brand messaging and are unwilling to put the power in the customers' hands. This is especially true of more conservative businesses such as those in healthcare or finance. These companies are also more hesitant to experiment with viral marketing because of the typical requirement that the content be at least a little unusual. However, there are ways for these companies to utilize viral marketing while still "playing it safe". For example, a finance company could create a heartwarming video that illustrates a rags to riches story that someone achieved using their services. They could even go a step further and help quicken the sharing process by making a donation to a related charity for every person that "likes" the video or tweets the link. Whether heartwarming or humorous, one consistent characteristic of a successful viral campaign is that the product itself is typically reduced to a secondary role. Only your greatest evangelists will share a piece of content simply because they love your product or service. To reach the masses, you need to think of these viral campaigns completely differently than you would a normal promotion or marketing campaign. This initiative needs to be all about the audience. It needs to entertain them or elicit some sort of emotional response. If you're going for entertainment value, it needs to be funny, outrageous or over-the-top in some way. Some of the most successful viral campaigns of all time have been completely off the wall, such as the wildly popular "Old Spice Guy" ads or Blendtec's "Will it blend?" campaign. Another approach is to crowdsource the content. Doritos' recent customer-submitted Super Bowl ads have been huge viral hits. This type of customer involvement creates a personal investment that helps spur word-of-mouth. Once you have settled on an ad that you think is going to be a hit, an often overlooked consideration is that you need to make sure that you are able to support the influx of attention. Ensure your site servers, bandwidth, and hosting solutions are all adequate to handle the increased traffic. Also prepare your sales team, customer service department and publicist for the campaign. You don't want anyone in your organization being caught off-guard by the sudden exposure. Lastly, make sure to determine what your goal is prior to launching any viral campaign. Are you looking for an increase in pageviews, Facebook Likes, Tweets, mentions or actual number of converted customers? Are you going for general brand awareness or do you want to see an immediate boost to the bottom line? If you don't have a specific goal in mind, you will have no way of evaluating the effectiveness of the campaign after the fact. Once you have all your ducks in a row, you need to start the ball rolling; you can't just post a website or video and hope that people find it. Leverage your existing networks to get the word out: send out a blast email to your mailing list, tweet to your followers, post on your brand's Facebook page, etc. You can even make an investment in Google AdWords or Facebook ads to help expand your reach in order to build initial momentum. However, you should know pretty quickly whether you have a successful viral campaign on your hands or not. If you need to rely on your own efforts or paid clicks beyond the initial stages, you may want to rethink the ad and go back to the drawing board. Only a small percentage of ads end up going viral, but if you are able to create a hit, it may be just the boost your company needs.